Top Stories, June 20-26: New Machine Learning Book, Free Draft Chapters; Machine Learning Trends & Future of A.I. Note: KDnuggets is experimenting with a new algorithm that weighs new stories more than old stories, and so changes in the weekly most popular content may be noticeable. Machine Learning Trends and the Future of Artificial Intelligence- Jun 22, 2016. 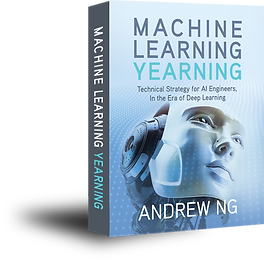 New Andrew Ng Machine Learning Book Under Construction, Free Draft Chapters - Jun 22, 2016.